Call us any time at A1 Sewer & Drain Services for sewer repair and sewer replacement from experienced local NJ plumbers, at 201-645-0888. Residential and commercial sewer laterals are prone to a range of common problems, which could require either sewer repairs or sewer replacement. The right approach to solving your sewer problems will depend on the nature and extent of the damage, and can range from sewer relining for minor leaks to complete sewer pipe replacement for a collapsed sewer lateral. At A1 Sewer & Drain Services, we have experienced local NJ sewer plumbers available 24/7 for emergency sewer repair, sewer pipe replacement, septic tank repair, and other local sewer and drain repair services. You can call us any time for fast, reliable same-day service from plumbers with decades of NJ sewer repair experience. Call now for service today, at 201-645-0888. Fortunately for NJ homeowners, many common sewer lateral problems can be solved with relatively minor sewer repairs, or with sewer cleaning with hydro jetting. These procedures can take less than a day, and tend to be relatively inexpensive if sewer excavation isn’t needed. This can be a relief for homeowners and businesses that dread the expense and hassle of extensive open trench excavation. Sewer pipes made from copper, cast iron, PVC, or other materials can develop small pinhole leaks or cracks. 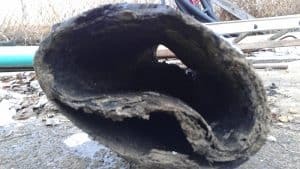 These don’t compromise the pipe’s overall structural integrity, but they can allow for water leaks, a higher risk of clogs and sewer backflow, and destructive tree root incursion. It’s important for homeowners to fix these minor issues to prevent bigger problems in the future. 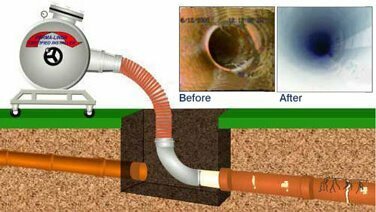 Trenchless sewer repair options have come a long way toward streamlining and simplifying the sewer repair process. Trenchless sewer relining is a great way to patch minor holes and cracks in leaking sewer lines, without the need to dig a trench. Open trench sewer excavation in NJ is time-consuming, labor-intensive, and as a result, it’s costly. It’s also known for tearing up lawns, uprooting landscaping, and destroying driveways and paved areas. One you factor those things in, the cost only increases. 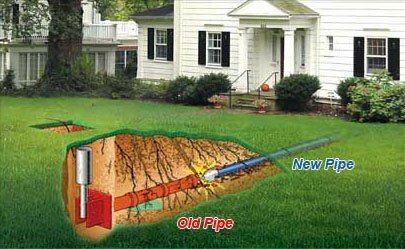 For many sewer repair jobs, we can use cure-in-place pipe (CIPP) sewer relining instead of digging a trench to access the sewer pipe. CIPP lining uses a soft, flexible liner coated in resin, which can be permanently hardened in place when it’s cured with either heat or UV light. Once installed by professional sewer service plumbers, CIPP liners have impressive longevity and durability. The material is resistant to nearly all kinds of electrochemical and microbial corrosion, and once in place, it can last for up to 50 years– comparable to the service life of brand new PVC or ABS pipe. Sewer relining is great for both NJ property owners and contractors. 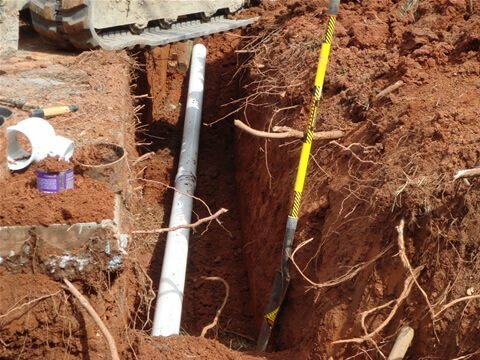 The process is simpler and safer for plumbers, eliminating many of the potential hazards associated with trenching. For homeowners and businesses, it’s nondisruptive and leaves paved areas and landscaping intact, eliminating peripheral damage that can raise your repair costs. 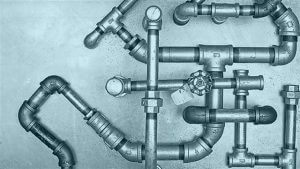 To figure out whether sewer relining with cure-in-place pipe is a feasible option, plumbers will need to inspect the sewer line and pinpoint the cause and location of the damage. At A1 Sewer & Drain Services, we offer same-day repairs with a free diagnosis and cost estimate. Collapsed sewer lines are noticeable right away, marked by saturated soil outside, and backed up drains and backflow inside. A collapsed sewer lateral constitutes a sewer emergency, and you’ll need to call a 24-hour plumber immediately for repairs. Sewer backflow from a collapsed pipe can cause widespread and irreversible damage to flooring, walls, and furniture. The wastewater is also malodorous and biohazardous, and will need careful water removal by workers in hazmat gear. This kind of severe damage leaves the pipe without any structural integrity, making sewer relining impossible. Instead, you’ll need partial or total sewer pipe replacement. 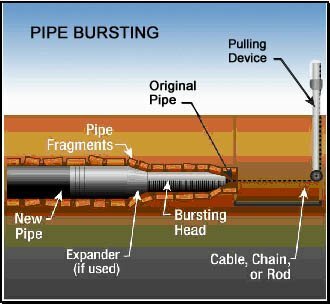 This often requires open cut excavation, although depending on soil conditions, we may be able to use trenchless pipe bursting instead. For emergency sewer repair or sewer replacement today, call us 24/7 at A1 Sewer & Drain Services, at 201-645-0888.